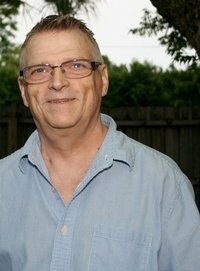 I’m sorry to have to report the death early this week of Terry Newby, a veteran Orlando actor and theater fan, who had fought a long bout with cancer. Terry was a teacher who acted on many Orlando-area stages over the years, including at Civic Theatre of Central Florida, the Osceola Center for the Arts and the old Celebrity Dinner Theatre (an early ’80s business where downtown’s Beauchamp Theatre is now). He also was a big fan of the Orlando Fringe, and I used to see him and his husband, Albert Ramirez-Newby, in line for Fringe shows countless times every May. The two of them were always eager to pass along their tips for good shows and to hear the word of mouth on what the best Fringe bets were likely to be. All my best wishes to Albert and to all Terry’s friends in Orlando theater and elsewhere. We all will miss him.